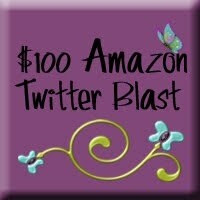 How would you like to win a $100 Gift Certificate to Amazon? Here’s your chance! This awesome giveaway is being sponsored by Amee from Madame Deals and Jen from all her blogs (Kobiso, Makobi Scribe, Sason and Pobi, etc). Many thanks to these ladies for offering this great prize! It’s super easy to enter – simply fill out the easy Rafflecopter form below. The more blogs you follow on Twitter, the more entries you will receive! Good Luck! Contest ends January 1, 2012.